Capcom revealed earlier today that Dragon’s Dogma: Dark Arisen is heading to Switch. While a physical version is a bit of a question mark overseas, we have confirmation that a retail copy is planned for Japan. There will actually be a few different physical versions. A standard copy will set buyers back 3,990 yen. 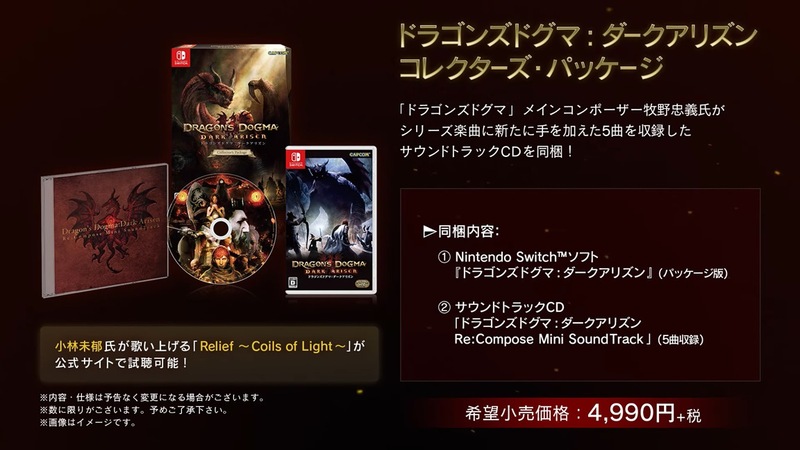 There’s also a 4,990 yen Collector’s Package with a mini soundtrack and a (roughly) 25,000 yen Complete Edition with a pendant.